We’d love your help. 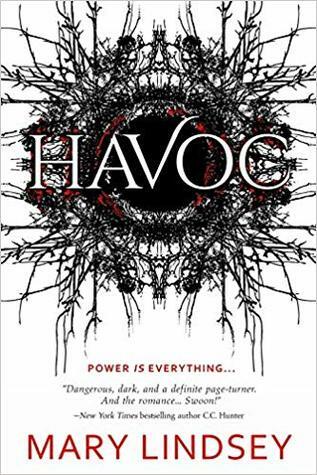 Let us know what’s wrong with this preview of Havoc by Mary Lindsey. Inexplicably, her favorite animal is the giant anteater and at one point, she had over 200 "pet" Madagascar Hissing Cockroaches. The roac Mary Lindsey is a multi award-winning, RITA® nominated author of romance for adults and teens. She lives on an island in the middle of a river. Seriously, she does. When not writing, she wrangles her rowdy pack of three teens, two Cairn Terriers, and one husband.